The recent acquisition of a Chicago-based car sharing program by Enterprise Holdings is another indication that despite what some people might think, the service is hardly a fad. Enterprise Holdings announced that it is acquiring I-GO Car Sharing, a non-profit organization serving more than 15,000 members, with more than 200 locations in more than 40 neighborhoods. Established in 2002 as a pilot program of the Center for Neighborhood Technology, I-GO was the first car-sharing program in Chicago and has been dedicated to creating an integrated multimodal transportation system that provides residents with different mobility options. I-GO provides members with 24-hour access to a fleet of vehicles reserved at parking spaces all over Chicago and four surrounding suburbs. Developed to take some of the stress out of owning a car, I-GO covers the gas, premium insurance, vehicle maintenance, and 24/7/365 assistance. 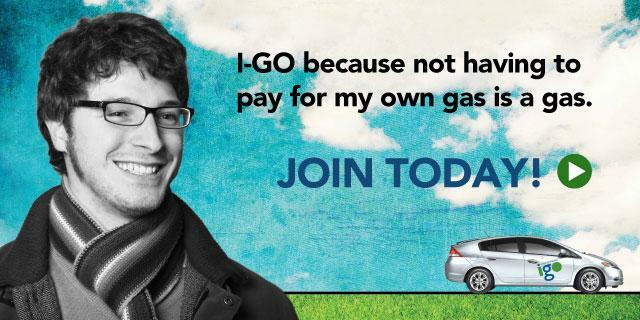 IGO Car Sharing has also been focused on featuring green initiatives in the program by adding the Mitsubishi i MiEV and Nissan Leaf electric vehicles to its fleet as well as other fuel-efficient vehicles. The I-GO CarSharing acquisition by Enterprise Holdings, which operates the flagship Enterprise Rent-A-Car brand as well as the National Car Rental and Alamo Rent A Car, is the latest in string of moves by Enterprise Holdings aimed at beefing up its car-sharing programs. Sharon Feigon, I-GO’s chief executive officer, echoed many of Johnson’s comments in her statement. “The purchase of I-GO by the nation’s largest car rental corporation validates our success in building a robust car-sharing market through the design of innovative alternative transportation solutions that encourage people to consider both their quality of life, as well as fiscal savings through car sharing, walking, biking and use of public transportation,” said Feigon. In recent years, car sharing, which has been widely popular in Europe for nearly a decade, has been rising in the U.S., even prompting automakers like Ford to offer similar services. According to a New York Times article, in 2012, about 800,000 people belonged to car-sharing services in the United States, a 44 percent increase from 2011 based on information gathered from the Transportation Sustainability Research Center at the University of California, Berkeley. Last year, Enterprise also acquired Mint Cars On-Demand that operates in Boston and New York to build up its car sharing program. The company acquired PhillyCarShare in 2011. Avis Budget Group, another major car rental company, reportedly agreed to buy Zipcar for $491 million in January.